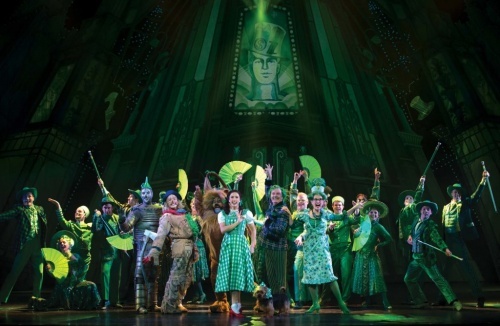 A lavish new version of “The Wizard of Oz” with extra songs by Andrew Lloyd Webber and lyrics by Tim Rice and visual treats to dazzle the eye – it sounds almost too good to be true, and it is. The production, much the same as the one first staged at the London Palladium, is of breathtaking extravagance, with magnificent fantasy sets underpinned by an audio-visuals show of storm clouds, lightning, a tornado, flying cows, monkeys and witches, all vying to outdo the 1939 film that starred Judy Garland. In this the production succeeds, conjuring up a magical landscape peoples with local-yokel Munchkins, sophisticate denizens of Oz and evil Hussar-like guards, clad in superb costumes by British designer Robert Jones and dancing virtuosic step by English choreographer Arlene Philips –the dance sequences beat anything seen on Sydney’s stage in a while. And fair enough. It is, after all, an adventure in the Land of Oz, full of strange beings, beautiful and sometimes dangerous vegetation and centred on the Emerald City, home to the Great and Wonderful Wizard of Oz. But it is also an allegory which sets the colourless landscape of Kansas in contrast to the world of the imagination with the clear if homespun message that both worlds must be faced with heart, mind, bravery and personal strength. Based on Frank L Baum’s 1901 original story “The Wizard of Oz” links the two worlds by rooting both in traditional values involving kindness, the sense of right and wrong, family feelings and honesty, so that the ‘wonderful’ wizard himself, in fact a charlatan, was inspired by real-life mountebanks from the West. But here’s the problem: the more extravagant the visual delights, the less likely it is that the plight of Dorothy and her friends will touch the hearts of audiences. There are several strong performances in the show. 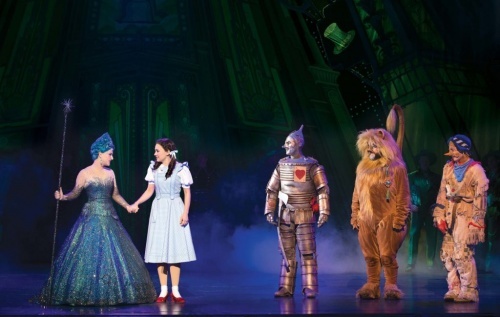 Samantha Dodemaide as Dorothy combines a fresh and vital interpretation with a fine singing voice. Warlow fleshes out the professor. But actors Eli Cooper, Alex Rathgeber and John Xintavelonis as Scarecrow, Tin Man and Lion are so busy playing the physicality of their parts that they neglect the link to their three human counterparts from Act I. Lucy Durack as a wisecracking Glinda and Jemma Rix as the malevolent Wicked Witch of the West are lacklustre. The effort to update the dialogue with knowing references to “Friend of Dorothy” and “The Lion in Winter” smacks of pantomime. 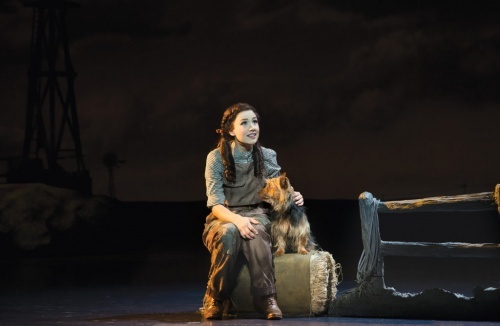 This is a well-loved musical, with details, like Dorothy’s ruby-red shoes, the Yellow Brick Road, and the adorable dog Toto (expertly handled and trained by Luke Hura) non-negotiable elements. The same should apply to the songs, but Andrew Lloyd-Webber and Tim Rice have extend the spare score of famous numbers in the film to include several that are new and forgettable. One such is the sentimental “Nobody Understands me” in Act I, which, with sung dialogue introduced, have a very different flavour from a traditional musical. Another song, showing off the talent of Anthony Warlow as Professor Marvel, is “Wonders of the World”. 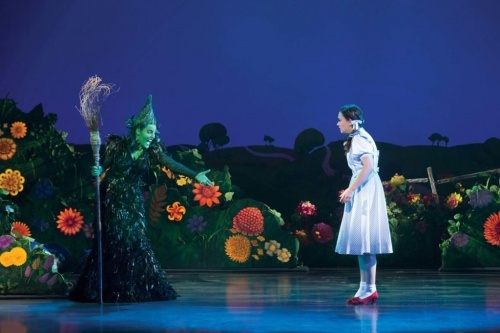 The Act I finale, “Bring me the Broomstick,” resemble Herod’s song from “Jesus Christ Superstar.” And the ‘Farewell to Oz’ song “Home is a Place in Your Heart,” errs on the side of schmaltz. You wonder why they tried to improve on the old, memorable version.